HVAC contractors Toronto are known for their timely intervention and consulting services when it comes to boiler installation and replacement. When to get a high-efficiency gas furnace installed is a big question in Canada. Especially when the furnace for sales are making big waves and quick discount offers. With so much to ask about, most clients are opting for short-term rental services and installation packages. If you are unable to decide whether to continue your old boiler system or replace it now, here are 5 pointers to vouch for before making a decision. What did your energy bill read like? HVAC systems and boiler installations can take up to 75% of the total energy consumption. With a poorly maintained system, the bills are just going to inflate even more. During winters and rainfall, the boilers are used more often than during summers. If you are noticing a rise of 30-40 percent against your usual consumption, get your existing system assessed by boiler installation specialists. Is it economical to replace now? 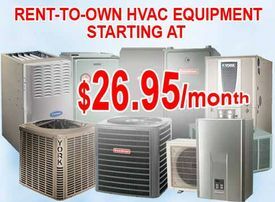 Many dealers offer boilers and furnaces on sale in Toronto right before the peak season sets in. If you have already made up your plan to replace the existing unit, go for a bargained price on the HVAC boiler equipment available for sale. If your budget is tight, you can even opt for a low-price boiler on rental package. Meanwhile, the early birds get the best offers from HVAC contractors in Toronto. Will your living area accommodate the new unit? The living space plays a crucial part in how boiler installation is done. Ductwork installation for boilers can take days if the building you are living in is old and poorly maintained. Older the building, harder it is so install a new equipment. Moreover, you may not be able to extract fullest efficiency out of a new high-powered furnace or a boiler if it is installed in a old building. Reason could be gaps and cracks in the wall, ceiling, and brokenwindow frame, leaks and peeled off paints. Estimate all these factors in a building before going ahead with any plans of rental boiler installation. Boilers available on rental basis don’t necessarily come with a cover policy on servicing, replacement and insurance. At much lesser cost of operation, HVAC contractors in Toronto do offer insurance packages to cover accidents, fire and physical damage. Some dealers of boiler and furnace for sale even provide free installation and replacement, if you opt for a longer rental term. What comes with a boiler installation is not necessarily everything you ask for. For instance, you might have to shell out extra dollars for pipework, duct work installation, scrapping of the wall, replacement of rusted parts and boiler operation assessment. If you are aware of the features of a particular model, insist on getting a fair price on the auxiliary operations. Whether you take a monthly rental package or an advance-paid yearly deal, check for additional benefits with your nearest HVAC contractor in Toronto.